Not Too Hurried to Be Thankful! 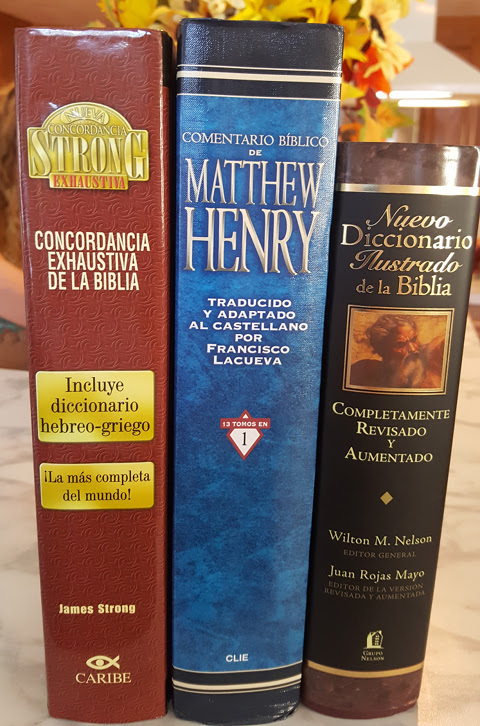 A one-volume commentary to shed a little light on difficult Bible passages. To the best of my knowledge, none of these brothers has been to Bible school, but they all are responsible for the souls of their flocks and for evangelism in their towns and villages. Getting these study tools in their hands (your part, through giving) and training them how to use them (our part, through teaching) is one of the best investments we can make together. So praise the Lord! And thank you for your encouraging response. 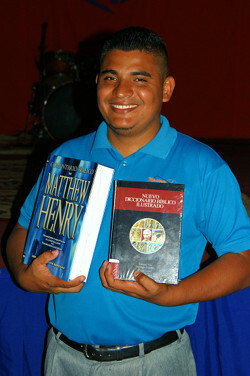 We need just 15 more $105 sets, or about $1,575, so that no pastor walks away empty handed during my next visit. 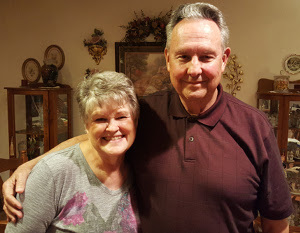 Our own “bionic man” Al Strickland leaves today on a two-week missions trip to Romania, where he will help supervise the renovation of a Christian retreat center. His trip requires three flights there and three back, not to mention a two-hour commute from/to the airport in Timisoara. He returns October 30th. Denise and I head out for Perú on Wednesday October 25th for a three-week trip. There'll be two flights down, two back, and two more round-trip flights within Perú itself, for a total of eight times in the air. Plus travel on the ground, of course. In Perú, we have 12 straight days of teaching without a break. Often while teaching on the field I've experienced a noticeable empowering and “recharging”; and I know some of you are praying for me. Please don't quit now! 😉 We both will need an extra impartation of energy! And please pray for good health while we're there. Next year's schedule is coming together and seems a bit challenging: Honduras – March; Nicaragua – April; Guatemala – May; Iowa – June; and El Salvador in July?? We need God's perfect timing and full supply for each of these trips. Thanks for being part of the prayer and support team! 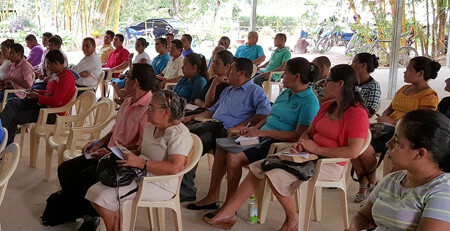 Please help these Nicaraguan pastors through our Sacred Treasure House Initiative. Credits: Shot of Pastor Norlan courtesy of Fred Juarbe. 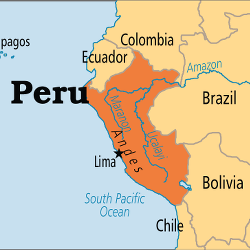 Map of Perú courtesy of Operation World. 17 October 2017: It gets better! At noon local I received a note from a friend stating that he would match funds, set for set, for up to five sets of books. Since then, one gift has already arrived via Paypal and another is promised by check (from a woman who is always as good as her word) this Sunday. Since 2×2=4, the new score will be 26 Down and 11 to Go! Next post: Thanks to God for My Redeemer! Previous post: Guatemala Report: Return on Investment!